Les prières élevées et les poèmes soufis chantés en occasion de la première soirée du Festival de Fés de la culture soufie, soirée dédiée à la mémoire de feu SM. Hassan II, ont fasciné le public pour l'installer dans une atmosphère recueillie. The high prayers and the sufi poems sung on the first evening of the Fez Festival of Sufi culture, evening dedicated to the memory of the late HM Hassan II, fascinated the public and installed it in an intimate atmosphere. The two giants artists, Abdelfettah Bennis (disciple of haj Abdelkrim Raïss and Massano Tazi) and the Syrian Hassan Haffar (muezzin in Alep but also storyteller and poet) were faithful to the sufi way joining together a cosmopolitan audience of different confessions as well as artists and men from culture in search of discovery, learning and spiritual meditation. Placed under the high patronage of HM King Mohammed VI, this first edition of the sufi event will continue in several prestigious sites in Fez - such as the Mokri Palace, the Quaraouyine Library and the Madrassa [religious school] Bouanania - until Wednesday, May 2nd. Ruling Pakistan Muslim League (PML) Secretary-General Mushahid Hussain Syed departs for India today (Monday), taking his mother to Ajmer Sharif to offer Fateha and seek blessings of the author of the Chistiya dynasty, the great Sufi saint and spiritualist, Hazrat Khawaja Moinuddun Chishti (RA). "It was my mother's desire to visit the shrine, and I had committed that I would personally take her there," Mushahid told this correspondent. “Nostalgia, History and Sheikhs in the Libyan Ma’luf"
On Monday 30th April the Work in Progress seminar hosts Dr Philip Ciantar. His paper will be: Nostalgia, History and Sheikhs in the Libyan Ma'luf: Listening in the Shadows of the Past. Dr Ciantar will examine the various processes by which today’s performances of the Libyan ma’luf are perceived and experienced in the nostalgic shadows of the past. In Libya, contemporary meanings attributed to this tradition are embedded in accounts of renowned sheikhs composing text, performing in zawaya (Sufi lodges), teaching the tradition, giving a helping hand in State-subsidized projects of preservation, reciting ma’luf in the middle of a market, and even asking for particular texts on their death-bed. These nostalgic accounts are understood by many as being the authentic history of the Libyan ma’luf. The seminar is being held at Hall C (second floor), Gateway Building, University of Malta, between 6 and 7pm, followed by discussion. The public is cordially invited. Aluva, Kerala: Sufi leader Hazrat Shaikh Sulthan Shah Baba was a leading light to humanity, Opposition leader Oommen Chandy said here on Friday. He was inaugurating the cultural session held in connection with the 33rd Khilafath anniversary at Jeelani Shareef at Desam here. The session discussed the theme ‘Towards an agenda for a movement of universal brotherhood.’ The contributions of Sufis to the cause of world peace should be appreciated, Chandy said. Baba was a true successor of the great Sufi movement. It is play time. The annual Hungry Heart Festival, which began at the India Habitat Centre [in New Delhi] on April 27, is set to showcase six plays and a concert — from India and Pakistan. The festival, which began with Habib Tanvir’s popular play Agra Bazaar, also saw the veteran theatre personality making one of his rare public appearances. On April 29, there will be Sohaila Kapur’s Rumi on the life of the Sufi poet. About Nothing, a dance-based performance by choreographer Ashley Lobo, will be shown on April 30. Mita Vasisht’s Lal Ded, a tribute to Kashmir’s mystic poetess, will be staged on May 2. The festival also features Patay Khan (on May 5) by Usmaan Peerzada of the Rafi Peer Group, one of Pakistan’s most famous theatre groups. The theatre extravaganza, which aims at building cultural CBMs between India and Pakistan, will also see the performance of Pakistani Sufi singer Sain Zahoor on May 6. Hungry Heart is an NGO founded by Kapur, Smita Bharti and Monica Bhasin to promote theatre and filmmaking. Well, Agra Bazaar on the opening night certainly made us hungry for more. reaches the hidden knowledgeby means of effort. but no one is left to drink. By Shelina Zahra Janmohamed - Guardian Unlimited - U.K.
Islam is a broad church, so to speak. Well, it's supposed to be. A Muslim is one who states: "There is no god but God, and Muhammad is his (last) messenger." The public avowal of these words is sufficient to be counted as Muslim. The strength of belief and flavour of practice that lie behind them is immaterial. You say that you believe and you're a Muslim; you say that you don't believe and you are a kafir. These are simple black and white statements of fact. Kafir is a word, like hijab and niqab, that seems to have gained popular currency. The English language is voracious, and in this era of materialism it is, ironically, hungry to increase its religious lexicon. On an optimistic day I hear such borrowings from Islamic vocabulary as echoes of the variety of Muslim voices slowly emerging in the media. Twenty years ago I couldn't imagine that the words Sunni, Shia, Sufi and Salafi would ever be known so widely. I don't agree with all these opinions, but I hope they are heard without prejudice - from both inside and outside the Muslim community. Being confident in your own beliefs and practices is one thing, but pointing to other Muslims and implying "you're the wrong sort of Muslim" or, worse still, calling them "kafir" is another. The word kafir is scattered about like confetti. We've seen a resurgence of this pejorative practice of takfir - labelling another Muslim as a kafir. Robbed of its meaning, kafir is used almost like a four-letter word against both Muslims and non-Muslims. This is rude and unbefitting of a Muslim. It seems that the straightforward definitions of Muslim and kafir given by God and Muhammad are no longer sufficient. Ashura, the annual commemoration of the martyrdom of the grandson of Muhammad, is a case in point. Observed mainly by Shia Muslims, historically it was accepted by all strands of the faith. But the events involved seem to be blindly labelled by some Muslims as "wrong" and the Muslims who engage in them as "wrong" or, worse still, "kafir", without any attempt to understand. This sort of behaviour gets us nowhere. And Muslims are not alone in indulging in it. At some level, aren't we all guilty of it? Instead of feeling the pain of our own faith community, we seem hellbent on being the ones to inflict it. Our religious beliefs should be a garden of tolerance, understanding and respect, balanced with a drive towards justice and equality. Faith should make us aspire to good words, good actions and kindness. We need to adopt and ingrain these basic values of faith into our social fabric, not turn into bone-headed thugs that answer any inquiry, question or challenge with "you're wrong". Ali ibn Abi Talib, the son-in-law of Muhammad, said: "Remember when dealing with others that either they are your brothers and sisters in faith, or they are your human creatures in kind." This simple, universal manifesto injects respect and equality into the heart of our values in order to lead us towards the right sort of human experience. L'exposition de rares textes saints et manuscrits des trois religions monothéistes, qu'abrite la capitale britannique du 26 avril au 23 septembre prochain, représente un témoignage important contre toutes les formes d'extrémisme, a indiqué mercredi l'ambassadeur du Maroc en Grande-Bretagne, Mohamed Belmahi. The exhibition of rare holy and handwritten texts of the three monotheistic religions , which the British capital shelters from April 26th to September 23rd, represents an important testimony against all forms of extremism, indicated Wednesday the ambassador of Morocco in Great Britain, H.E. Mr Mohamed Belmahi. Mr Driss Ouaouicha, secretary general of the MBS [Moroccan-British Sociaty] indicated that the exposure represents the crowning of an over two years long work of coordination between the MBS and the British Library. For Mrs Nadia Rzini, a specialist in the history of Islamic art, the London's exhibition represents a single opportunity for the public to have an idea on the Moroccan manuscripts in a more global context. The influence of Moroccan calligraphic art extended far beyond the borders of Morocco, she said, quoting in this respect the famous manuscript “Dalail Al-Kahyrate” of the Moroccan sufi Sidi Ben Slimane Jazouli, who lived in Marrakesh in the 16th century. Copies of this manuscript which is about the life of the Prophet Sidna Mohammed (pbuh), are preserved in countries as many and as far as Turkey, China, India or Singapore, she said. Karachi: The International Mystic Music Sufi Festival is being organized at Bara Dari, Karachi, from May 3 to May 7. The five-day event is being organized by the Rafi Peer Theatre Workshop, in collaboration with the Sindh government. The festival will feature over 300 Sufi music artists from Afghanistan, Algeria, Australia, Azerbaijan, Bosnia, Egypt, Holland, India, Iran, Iraq, Morocco, Pakistan, Senegal, Turkey and Uzbekistan. This is the sixth edition of the festival. Karachi, however, has been selected to host the event for the first time ever. The festival will feature various forms of Sufi music, including qawwalis, dances and poetry. Among the poets whose works will be used are Waris Shah, Bullay Shah and Shah Abdul Latif Bhittai. Works of living poets were strictly not going to be used, Peerzada said. In the past, this festival has proved to be a platform for local musicians by granting them overnight international fame. Sain Zahoor from Punjab, for instance, had been relatively unknown when the festival discovered him. Zahoor then went on to great heights, and was recently honoured with the BBC Radio World Music Award. Abida Parveen, Fateh Ali Khan, Sabri Qawal, Raza Alan Fakir, Sain Zahoor, Najam Sheraz are among the artists from Pakistan who will be performing at the festival. Tickets for the five-day event are available for Rs 300, and organizers are urging families to attend. Aluva: The followers of Sufi had contributed immensely to world peace, Defence Ministry Director Hamid Hussain said here on Thursday. He was inaugurating the celebrations of the 33rd Khilafath anniversary of Hazrat Shaikh Sulthan Shah at Jeelani Shareef at Desam here. ‘‘The real Sufism is based on the path of Thoufeeque. Shaikh Sulthan Shah Baba had dedicated his life to spreading Sufi messages. I am proud to be a disciple of such a great man,’’ Hussain said. Terrorism can never be a part of the followers of Islam, Sanskrit University Vice-Chancellor K S Radhakrishnan said. He was delivering the keynote address at the inaugural session. Presiding over the f unction, Shaikh Yousef Sulthan Shah said it was unfortunate that a section of the people propagating malicious and false information is tarnishing the image of Qudiri organisations. Ex-MP Scaria Thomas, writer Asokapuram Narayanan, Abdulnazer Mehboobi and S A Jaleel Master Kollam spoke. A conference on anti-terrorism was inaugurated by Abdul Majeed Hudwi. Ustad K Hamsa Moulavi of Kalady presided over the function. Hamid Hussain delivered the keynote address. Koduvalli Abdul Kader spoke. The four-day-long celebrations will conclude on Sunday. Fès accueille un des événements culturels les plus attendus dans la ville mystique. Organisé par «Par-Chemins Concepts», le festival de la culture soufie, dédié au mysticisme et à la spiritualité se déroule du 27 avril au 2 mai 2007. Fez [Morocco] hosts a major cultural event, one of the most awaited-for in the mystic city. Organized by «Par-Chemins Concepts» [Concepts through the walk/Concepts of parchment], the Sufi' culture festival, dedicated to mysticism and spirituality, will unroll from April 27th til May 2nd. cultural dialogue with topics such as “Sufism and human development”, “Sufism and diversity of cultures”, “Sufisms and human rights”, “Sufism and the history of Morocco”. A great number of intellectuals* from Morocco, Tunisia, Algeria, Iran, France and the U.S.A. is invited to take part in these conferences and to animate the workshops. Konya is preparing to host the second International Aşkın Film Festival May 11-20. The festival's program will focus on Sufi poet and saint Mevlana Jelaluddin Rumi, respected for his ideals of tolerance and love. The Turkish cinema section of the festival will include Derviş Zaim's "Cenneti Beklerken" (Waiting for Heaven), Nuri Bilge Ceylan's "Uzak" (Distant) and Reha Erdem's "Beş Vakit" (Times and Winds). The world cinema section will screen such films as the Turkish-Italian joint venture "Derviş" (Dervish) directed by Italian director Alberto Rondalli, "Ölü Adam" (Dead Man) by American Jim Jarmusch, "Büyük Yolculuk" (Le Grand Voyage) by French director of Moroccan origin Ismael Ferroukhi, "Kahraman" (Hero) by Yimou Zhang of China, "Kurban" (The Sacrifice) by Andrei Tarkovsky and "Dönüş" (The Return) by Andrei Zvyagintsev. In addition a selection of five movies by prominent Iranian directors such as Mohsen Makhmal-baf, Majid Majidi and Kamal Tabrizi will be screened during the festival. Open discussions are also included in the festival, with the participation of Turkish and foreign guests. In Hindustani music, the ‘jawari’ is the ‘finest point of resonance’ in a string or in the human voice, which awakens and vibrates with a kind of latent reverb. The jawari is also a point of access to, and union with, the mystic. It refers to the reaching of that final moment of compassion when it is stirred, and opens its ‘door’ of revelation. Exploration involves looking for the jawari of the human voice that is perennially rooted in the ‘nada’ or cosmic sound, beyond its natural physical reverb. This means crossing of the mythical seven veils of darkness, to find the point in the stratosphere from where will flow the Infinite Light. 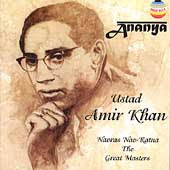 The secret of Ustad Amir Khan Saheb’s music was in the jawari, a near-impossible state of spirituality. Khan Saheb’s approach to preparing the voice for classical singing — which he turned into a gharana speciality as pioneer of the Indore gharana — was to cultivate a voice throw or projection that began by turning its very back on the world. It was from here that, nourishing its own roots, having turned within, it energised its leaves, rather than the other way round. It was from here that Khan Saheb explored the nakshatras or configurations of the Brahmanda or universe of the ragas, to illuminate the entire vocal galaxy. Pandit Amarnath, his disciple, would ask his students to ‘bore the voice’ at the umbilicus, in the manner of digging a well. “You never know where and when you will find water” he would comment, as he began teaching. It was a simple way to explain the jawari. And then he would move on to speak of the ‘chintan ka dwar’, the ‘door of revelation’, that would open, and that figures in many of the Sufi lyrics that Pandit Amarnath penned for the Hindustani khayal. Once there — and it could take you some lifetimes — the process of meditation became effortless. And ceaseless. Even revelatory. For all raga discoveries in Hindustani music have been revealed to sages and musicians from this point on — from the jawari of their own souls, connected to the Cosmic Soul. And also the khayal bandishes or lyrics sung in the khayal tradition. In fact, the khayal itself, a product of Sufi history, refers to ‘revealed thought’ (in terms of its lyric) and a ‘revealed raga-form’ (in terms of its gayaki or musical style). Which was what the Sufis meant when they sang the ‘khayal’ as one form of the qawwali, that was sung at the dargah of the Sufi saints. In the Indore gharana, working on the jawari at the root of the voice is first expected to bring small moments of revelation sent to you by your guru. The little moments are then expected to expand into larger and longer moments until you completely internalise the external presence of your guru, and start the process of self-answering in the sadhana, a task earlier performed by your guru in the physical body. The guru is now reborn within the soul of the disciple. And so is the disciple. The state of entering the jawari is an intense one. Amir Khan Saheb would sometimes use the word ‘khumar’ to describe this fevered state of intoxication with the mystic. As the ragas were sung, the khumar would rise, pitch and ebb, which has also become the real inner format of the highly developed Hindustani khayal form. The Islamic fundamentalism found in the all-Muslim town of Kattankudy in the eastern Sri Lankan district of Batticaloa, is rooted in Wahabism, sanctioned and practiced in ultra-conservative Saudi Arabia. Developed between the 13th and 18th centuries, Wahabism has sought to rid popular Islam of "innovations, superstitions, deviances, heresies and idolatries" and get people to adhere strictly to the Quran and the Hadis (sayings of Prophet Mohammad). Within Islam, Wahabism is opposed to Sufism because Sufism does not recognise the duality between self or man, and God. In Sufism, God has to be reached through personal experience by gaining knowledge of one self. Sufism believes that saints and wise men are necessary to guide one's search for God. In Kattankudy, the conflict has been between two versions of Islam. On the one hand, there is the entrenched and popular version which is culturally integrated with the local Tamil environment, and which could be loosely described as Sufistic. On the other hand, there is the new entrant, Wahabism. Prior to the entry of Wahabism in the mid 1970s, (thanks to the oil boom and the rise of Saudi Arabia) Kattankudy Muslims were praying at the graves of Auliyas or saintly men; seeking favours from God through prayer; singing songs in praise of God; and organising grand festivals and distributing food in observance of the Prophet's or a Saint's birthday; and using flowers in prayer. Many of their social customs and rituals were of Tamil or Indian origin. 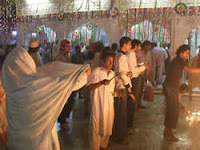 Men and women mingled in religious festivities. "In earlier times, Muslims participated in Hindu temple festivals and made vows like the Tamils. They also had regular roles to play in Hindu temple festivals," recalled KMM. Kaleel of the Federation of Mosques. "To stop this, the Ulemas of those days encouraged Muslims to start similar festivities in their own mosques," he explained. According to the Sufi Sunnat-ul-Jamaat leader, Maulvi A Abdur Rauf, not all of these practices can be branded as un-Islamic. He argued that many could be justified on the basis of the Quran and the Hadis as these were matters of interpretation. In the past, there had been varying interpretations, he pointed out. Rauf was popular. But given the changed global Islamic situation in the 1970s, the elitist Colombo-based All Ceylon Jamiat Ulema issued a fatwa against him. He was accused of bringing in the beliefs and practices of the Hindus of Tamil Nadu, where he had studied. But resistance to Rauf at Kattankudy itself, took time to develop. Change in thinking began to show up in the mid-1980s, when a large number of locals started going to the Middle East, especially Saudi Arabia. "There, they were introduced to Wahabism in special preaching centres," said MBM Firdous, of the Centre for Development and Rebuilding. Back in Kattankudy, people were coming under the influence of P Jainul Abedin alias PJ, a powerful Wahabist preacher from Tamil Nadu. Organisations like the Saudi-funded Centre for Islamic Guidance cropped up in the early 1990s, Firdous said. Young men from Kattankudy began to get scholarships to study in religious universities in Saudi Arabia and Egypt. It is these young men who spearheaded Wahabism when they got back. Six masters of a centuries-old traditional music will bring their art to Bahrain next week when they perform at La Fontaine Centre of Contemporary Art, in Manama. Celebrating its Colours of India exhibition, the centre is presenting Manganiyar and Langa musicians from the Indian desert state of Rajasthan on May 3 from 8pm. These "minstrels of the desert" have perfected their craft over several years and started out as apprentices before finally being officially recognised as masters. The six musicians to perform are Chanan Khan Manganiar (on kamaica), Bhugra Khan (on dholak), Mehruddin Khan (on sarangi, algoza, morchang and vocals), Gazi Khan (on kartais and vocals), Barkat Khan (vocals) and Sakur Khan (sufi vocals and harmonium). Langa musicians' vocal repertoire includes songs of the life cycle and the seasons, songs in praise of their patrons who in past times supported them in exchange for their performances, devotional songs composed by 19th Century Sufi poets and film songs. Themes such as love and heroism predominate, as do water and cattle - the source of life in the desert. Langas are known for their improvisations and their instrumental and vocal ornamentation. Manganiyar performers, like Langas, are sedentary Muslims whose home extends over the border into Pakistan, but their patrons are mostly from higher castes, poets, bards and historians. Their appearance at La Fontaine's stunning moon courtyard is being staged in collaboration with Theatre de la Ville, in Paris. It coincides with the opening of the Colours of India exhibition next Wednesday at the same venue from 7pm. The exhibition features antique textiles and other objet d'art and will continue until June 2, opening from 10am to 1pm and 4pm to 6pm daily except Fridays. Antiques offer a glimpse into Moghul India and beyond. Tickets for the music concert cost BD15 or BD25 including a buffet dinner. For reservations, e-mail lfccart@batelco.com.bh or phone the centre on 17230123. Celebrations for the 2007 Mevlana Year began in the Netherlands on Saturday, April 21st with a performance by whirling dervishes and mystic Sufi music recitals in the capital Amsterdam. The Whirling Dervishes, sponsored by the Turkish Ministry of Culture, will travel to 18 countries and 22 cities throughout the year. An international conference about tariqa Tijaniya opens on Thursday, May the 3rd, in Fez, Morocco, on the topic “Tijaniya in today's society”. The conference will be opened by Shaykh Sherif Brahim Khalil Tidjani, grandson of Sheik Ahmed Tidjani (Ra) and by Dariyatoul Al Anfass, and animated by "eminent specialists from several countries" -so goes the press release. "Orientalists' scholarly studies on tariqa Tijaniya" and “The position of the Tijani Masters vis-a-vis radical extremism” are the two main streams within the conference which will be at its fifth session. The conference will be coupled with the first Fez Festival of Sufi culture, which will be held from April 27th to May 2nd, on the initiative of Mr. Faouzi Skali. The Turkish Culture and Tourism Ministry will hold a series of activities in Mexico on April 27-29 as part of its year-round program to mark the 800th anniversary of the birth of Sufi saint and poet Mevlana Jelaluddin Rumi. The activities, held within the scheme of UNESCO's Year of Mevlana, will include sema (whirling dervish) performances by the İstanbul Historical Turkish Music Ensemble and conferences on Mevlana's teachings. Where There Is No Autumn How Can Spring Exist? By William Darlymple - California Literary Review - Carlsbad, CA, U.S.A.
"The histories of Islamic fundamentalism and European imperialism have very often been closely, and dangerously, intertwined. In a curious but very concrete way, the fundamentalists of both faiths have needed each other to reinforce each other’s prejudices and hatreds. The venom of one provides the lifeblood of the other". Zafar’s poetry was deeply imbued with the Sufi ideals of love, which were regarded as much the surest route to a God who was seen to be located not in the heavens but deep within the human heart. The love of the ghazal poet was ambiguous—it was rarely made entirely clear whether it was sacred or worldly love to which the poet referred. This ambiguity was deliberate, for just as the longing of the soul for union with God was believed to be as compelling and as all-embracing as the longing of the lover for the beloved, both loves could be carried to the point of insanity or what Sufis called fana—self-annihilation and immersion in the beloved. For men who see, the Ka’ba is a compass, nothing more. Look deeper, he tells the orthodox: it is you alone who cannot hear the music of His secrets. Like many of his Delhi contemporaries, Ghalib could write profoundly religious poetry, yet was skeptical about literalist readings of the Muslim scriptures. but where in Paradise are the long walks with intoxicated friends in the night, or the drunken crowds shouting merrily? Where shall I find there the intoxication of Monsoon clouds? If the beautiful houris are always there, where will be the sadness of separation and the joy of union? Where shall we find there a girl who flees away when we would kiss her? By Charita M. Goshay - Canton Repository - Canton, OH, U.S.A.
North Canton Walsh University unveiled its Catholic-Jewish Institute last week with a program on Rumi, a 13th-century Sufi Muslim who is the mostly-widely read poet in the Western world. Rumi's life and works were the center of a panel discussion led by Daryush Parvinbenam, a practicing Sufi who is a clinical assistant professor in the graduate program in counseling and human development at Walsh, and Rabbi John Spitzer, the leader of Temple Israel in Canton and a founder of the institute. "As the world becomes further divided by religion and culture, it is imperative that dialogue be opened to bring the world together," Spitzer said in a statement explaining the purpose of the institute. "Wars and racial hatred in the name of religion exist around the globe, thus establishing the urgent need to replace misconception and prejudice with dialogue and truth. Islam, Judaism, and Catholicism share many fundamental principles, and open discussion is vital to stopping the perpetuation of this trend. "Through open dialogue, we have the opportunity to dispel the one-dimensional perception of Islam and discuss multifaceted aspects of Islam and its mystical school." What do sufis believe? Parvinbenam said the essence of Sufi mysticism is to find truth and spiritual enlightenment by way of a "Tariqat" or spiritual path. "The ultimate goal of a Sufi is finding perfection through union with God," he said, adding that a fear of hell or the promise of paradise are not the Sufi's chief motives for worship. Parvinbenam said little is known about Sufism, partly because the media tends to focus on the Sunnis and Shias, who represent most of the world's Muslims. "The problem is, this does not sell newspapers," he said. The word "Sufi" comes from the Arabic word "suf," which means "wool." It comes from the simple wool robes and tunics once worn by early practitioners. Sufism is believed to have originated in Persia, or modern-day Iran, in the 12th century. There are some schools of thought that suggest that the tenets of Sufi predate Islam itself, and that Sufis adopted Islam as a vehicle. Other theories are that Sufi emerged from Shia Islam as a response to a harshly legalistic form of the faith. Sufism has not been without controversy. It has been criticized by other Muslims and even some traditional Sufis, who reject such outward expressions as the Whirling Dervishes, which they say is more cultural than spiritual. The "Whirling Dervishes" are one the most recognizable symbols of Sufism; their dancing, Parvinbenam said, is symbolic of spiritual transformation. Who was Rumi? Historically, Sufis have been the some of the most prolific producers of Islamic poetry, the most famous among them, Jalal-ad-din Muhammad Rumi, a poet, philosopher and theologian who wrote more than 70,000 verses over a 25-year period. Rumi was born in 1297 in Persia. Highly personal and passionate, his works have been praised for transcending spiritual, religious and social barriers. His poems have been translated into virtually every modern-day language. He died in 1273. The United Nations Education, Science and Cultural Organization has declared 2007 "The Year of Rumi." Other panelists included Kabbalah expert William "Zev" Rosenberg, Imam Ramez A. Islambouli, a Muslim chaplain at Case Western Reserve University, and Matthew T. Powell, a doctoral candidate in theology who will join the Walsh faculty this fall as an adjunct theology professor. The 379th urs celebrations of the Sufi saint Baba Shah Jamal started on Saturday. The celebrations will remain continued for three days and about 300,000 devotees are expected on the occasion. Religious Affairs and Auqaf minister Sahibzada Saeedul Hassan Shah opened the event by laying chadar and offering fateha at the shrine. The minister said the teachings of the saint had helped a lot in promoting Islam in the subcontinent. He said his shrine was a source of guidance for all. The shrine, he said, besides having spiritual importance was also a source of amusement for the devotees. He said the saints had portrayed the true picture of Islam to the world. He urged the devotees and the cleric to play their role in maintaining interfaith harmony and dialogue at the grassroots level. He declared shrines of the saints as a best place to bring about a social change. He said the cleric should encourage tolerance and enlightenment. He urged the clerics to make the country a hub of tolerance and tranquillity. He said the Auqaf Department had completed Rs 22.2 million development projects to facilitate visitors at shrines and the mosques administered by the department. After the opening and the minister’s speech, the urs celebrations started. The devotees lit clay lamps and some music lovers including women performed traditional dances. A large number of young and old women also joined them. Anna Ishaq Ali, a visitor said “I am visiting the shrine for the first time. I am enjoying the event especially people dancing on the beat of a drum. ”Muhammad Ansar, a devotee of the saint, said, he visits the shrine on every Thursday to get spiritual comfort and mental peace. The shrine has been illuminated. Stalls for traditional food and several other items have been set up. A group of acrobats will also amuse the visitors. One of the greatest spiritual and literary figures of the 13th century, Jalaladdin Rumi and his call for love, humanity and peace will be remembered at a one-day national seminar, `The Rumi Inside' to be conducted by Osmania University's Centre for International Programmes (CIP) and Indialogue Foundation. At a press conference, Sadi Sen, an executive member of the foundation said it was a matter of significance that UNESCO had declared year 2007 as `Year of Rumi' to mark the 800th birth anniversary of the eminent philosopher and mystical poet. He said the seminar would be an impressive gathering of persons of eminence in literary arena. CIP Director Siddiq Ali said it would be a significant event going by the participation expected. It would be a real learning experience for the younger lot belonging to a generation who were mostly ignorant of history, especially about a poet who was oft-quoted in the literary world. Former professor of political science and environmentalist K. Purushotham Reddy said the initiative of CIP and the foundation would be inaugurated by former Union Minister P. Shivshankar and among others in attendance would be Home Minister K. Jana Reddy. Also to be present was Giuli Alasania, mother of Georgian President Mikhail Saakashvili, who is also chairman of the Executive Board of Black Sea University in Georgia. Pakistan urgently needs to reclaim Rumi and Iqbal’s message for stemming the slide into the home-grown swamps of aspiring suicide bombers, who are threatening to set the country ablaze in the name of Islam and Sharia. The 13th-century mystic Maulana Rumi and the 20th-century poet-philosopher Iqbal have a common message for Muslims: de’dan day’gar amuz, shan’idan day’gar amuz (learn to see and think in a new way). The message sums up an outlook of life as a forward assimilative movement, even as one remains rooted in an Islamic heritage. Indeed, the message arose in a historical context when old certainties were crumbling and the new were struggling to be born: Rumi lived at a time when the Muslim world was traumatised by Mongol invasions, while Iqbal’s was a time of awakening of the colonised masses that eventually led to the independence of India and Pakistan. The above message also reflects what Iqbal believed to be the purpose of the holy Quran: to bring about a transformation in consciousness, open new vistas of creativity and a new understanding of faith. It is in this sense that Iqbal has been aptly termed Rumi- e-Asr (Rumi of our Age), which is the title of a book by Khawja Abdul Hamid Irfani that introduced Iqbal to Iranians in the 1950s. Small wonder that in representing a new Muslim consciousness, the most frequent references in Iqbal’s poetry are to the holy Quran, the Prophet (PBUH) and Rumi. A sequence that resonates with the popular notion that Rumi’s poetic magnum opus, the Masnavi is the Quran in Persian language. It is therefore a matter of little surprise that the spiritual nexus between Iqbal and Rumi runs through much of Iqbal’s poetic imagination and philosophical lectures. For example, if a vision of Rumi underpins Iqbal’s first groundbreaking philosophical poem, Asrar e Khudi (Secrets of the Self — 1915), Rumi’s voice also rings through the last poetic work published during Iqbal’s life. Entitled “What is to be Done, O Nations of the East?” (Pas chay ba’yad kard aei aqwam e sharq) (1936), here Rumi urges Iqbal to act like the prophet Abraham and demolish the fossilised ‘temples’ — the worn out ways of thinking that have paralysed Muslims into inertia. Indeed, Rumi tells Iqbal that as the East begins to wake up, a singular role awaits Iqbal as the Abraham of his age. Hailing Iqbal as the only Muslim to have unlocked the secrets of the West by enduring the ‘trial by fire’ of Western knowledge, Rumi then urges Iqbal to act like prophet Abraham and “ demolish the fossilised thought-idols” holding back the Muslims. What we have here, then, is a symbolic understanding of prophet Abraham’s idol-smashing mission as a critical impulse generating new knowledge — a deconstructive project of creative thought demolishing the ‘idols’ (of one’s own making) which are holding new ideas back. Abrahamic defiance, then, is the ilm that God has made an instrument of Heart and Vision. These verses signify a radical shift in the religious consciousness of a Muslim at the turn of the 20th century. It is about broadening the traditional understanding of the Abrahamic narrative from an event in sacred history into a symbol — where the trial by fire of prophet Abraham also becomes a trial by fire of another kind for the Muslim intellectual: a struggle for broadening human horizons through knowledge and dialogue, and opening new pathways for Muslim renewal. However, one of the most dramatic manifestations of this Abrahamic dynamic in modern times is exemplified by two leaders of Iran’s Islamic Revolution: Imam Khomeini and Dr Ali Shariati. While millions of Iranians hailed Khomeini as Khomeni e Bot shay’kan (Khomeini the idol-breaker) for demolishing Iran’s age old monarchic system, Iranians hailed Shariati as the Teacher of Revolution, (Mo’alem e Enqelab) for casting the Revolution’s intellectual foundations in a contemporary light. As is well known, Shariati was profoundly inspired by Rumi and Iqbal and presented Iqbal as a role model for the Iranian youth. Indeed, the infusion of intellectual and social activism into what Iqbal regarded to be a ‘degenerate’ Sufism resonated with Shariati’s spiritual politics of ‘Islamic spirituality, equality and freedom’ (erfan, ber’a’bari, azadi) — a slogan that epitomised dynamic Sufism, which Shariati described as a “socially committed and politically combative Sufism”. Such Sufism is very different from quietist mysticism indifferent to injustice and oppression. Shariati’s dynamic Sufism drew inspiration from the traditional notions of spiritual chivalry, Javanmardi in Persian culture, and Futuwwat in Arabic — a word derived from fata, “a handsome and brave youth” . The Quran uses this word with reference to prophet Abraham as an idol breaker. As for Futuwwat, it refers to the life of the fata — his courage, generosity, hospitality and love for fellow human beings and the Divine. Shariati’s dynamic Sufism, then, taught the individual, “how to win freedom from the chains of religion...as prophet Abraham, the model fata had done”, and he included Hazrat Zainab, daughter of Hazrat Ali, the fourth Caliph, among his role models. Clearly, as with Iqbal, Shariati transposed Abraham from a prophet in sacred history to a metaphor of resistance and renewal in the Iran of 1970s, a country going through the throes of rapid modernisation under a totalitarian regime. Here, Shariati’s Covenant with Abraham (Mi’ ad’ ba Ebrahim) signified a new iconoclastic impulse in modern Iran: intellectual struggle and revolutionary resistance against fossilised ways of thinking naturalised by habit and history. This being so, one could say that the Abrahamic dynamic in our times reflects an ethics of resistance against despotism and injustice, calls for the cultivation of the self as a moral being (khod sazi), entails a creative reclamation of a religio-cultural past, and critically engages with western thought. In post-revolutionary Iran, the Abrahamic dynamic permeates cultural activity as a critical impulse pushing the boundaries of consciousness in a society where a “ turn to research” and cultural production are among the defining features of a vibrant intellectual life. Such a vibrant cultural scene suggests that the legacy of Rumi and Iqbal is becoming increasingly generalised in Iran. This is bound to have far-reaching implications in promoting the spirit of freedom and justice in an increasingly interdependent world where the production of knowledge is a defining feature. As for Pakistan, there is an urgent need to reclaim Rumi and Iqbal’s message for stemming the slide into the home-grown swamps of aspiring suicide bombers, who are threatening to set the country ablaze in the name of Islam and Sharia. The Dervish Series is the culmination of a five-year project by Melbourne-based artist Peter Daverington [b. 1974]. In response to living and studying music in both Turkey and Egypt, his drawing and sound installation explores the cosmology of the Whirling Dervish. Using a format of drawings placed in sequence, The Dervish Series acts like still frames from an animation that narrates a visual journey of the Whirling Dervish, accompanied by an audio recording of the artist playing the Turkish flute. In addition to the exhibition, Daverington will be giving a free concert performance of Turkish Sufi music inside the gallery with the Turkish Sufi Music Group of Australia, this will be held on Monday night the 7th of May at 7pm. It is little wonder in the West - under a welter of war-talk, religious rivalry and obsession with fundamentalism - that not much is heard about Sufism, the mystic branch of Islam. Most religions have a mystic tradition and Sufism, according to some of its old masters, many centuries dead, is more truly defined as a science - paradoxically one of the West's great gods - because it seeks to understand the fabric of the universe, material and spiritual. We've heard the cliche about the gulf between science and religion, particularly in the monotheistic faiths, but what happens when these two great cathedrals of knowledge unite? Something spectacular: for while cosmologists and physicists have long been interested in the same quantum dynamics as the Sufis, so have artists. Here in a warehouse in St Kilda, jammed between two smelly meat-packing factories, artist Peter Daverington is playing a recording of music he has made. On it, he uses the ney, an ancient wind instrument from the Middle East that features prominently in Sufi compositions. The music accompanies his installation of big drawings from a long-time project called The Dervish Series, which explores Sufic mysticism. Arranged around the warehouse for a preview are most of the 23 drawings to be shown at the cavernous Flinders Lane gallery, fortyfivedownstairs. They are like a numinous chain, conjuring Sufism's tenets. Yet the imagery he created and the mystical properties of Sufism are here grounded in the concrete: the Whirling Dervishes, perhaps Sufism's most beautiful expression - and its most commonly known form in the West. Anyone who has seen the dervishes, in their flowing white robes, tall hats and graceful postures, will have been struck by their serenity as much as by their captivating ability to spin on their feet so mesmerisingly for such long periods. They are Turkish and part of the Mevleviye, or Mevlevi Order. Their unusual spiritual practice of whirling is a deep meditation on the oneness of Allah or God. The order was founded in 1273 by the followers of the poet and mystic Jalal ad-Din Muhammad Rumi in Konya, a southern-central Turkish city. The rotating of the dervishes is intended to help them journey to perfect lovingness, deserting their egos and carnal desires on the way. Their drill shares much (bar the spinning) with the meditative practices of the charismatics in Christianity as well as Buddhist meditations. But even more interesting is the way the whirling - and Daverington's circuit of arresting charcoal-on-gesso drawings - inhabits an essential scientific belief about the way the universe's macrocosms and microcosms echo each other. Just as the smallest subatomic particles whirl and rotate so, too, does the Earth orbit the Sun; and our Sun rotates around the hub of the Milky Way, the galaxies around the universe and so on. All the universe is in revolution. The dervishes whirl to achieve oneness with these levels. Daverington's drawings are black-and-white and refreshingly direct. The first begins by illustrating the deepest, most impenetrable blackness - deep space? - speckled with pinpricks of light. They might be stars or minuscule galaxies in the velvet ebony of the universe. Drawing might often be seen (erroneously) as the poor cousin of visual arts behind painting, photography, cinema, sculpture or printmaking. But it is their foundation. Here, it is a powerful force to engage sympathies between Islam and the West - and to stimulate spiritual intrigue. As the magnification increases with each drawing, the tiny white specks are revealed to be tiny dervishes in a transcendental spin. The sequence of 23 drawings ends with a panel that is mostly a brilliant, warm white - in contrast with the dark beginning. The transformation is spectacular and intellectually provoking. From first to last, we zoom in from the big picture - the universe - to the smaller picture of whirling dervishes; then to a particular dervish and on to an even closer focus on that dervish's heart-centre. The magnification with every panel is intriguing because of the transformations: what were stars become dervishes, what were dervishes become spiritual ideas. Panel 14 is the tipping point, where a dervish fills most of the frame, his head on that curious tilt that practitioners adopt when in the gentle whirl. It is this drawing that Daverington made first and, not surprisingly, it won the Dominique Segan Drawing Prize in 2003. He also won an Australia Council grant and a Melbourne City Council arts grant, both of which paid for The Dervish Series. While the notion to start with an abstract image, crop by stages to a figurative detail and then pursue it back to abstraction is hardly novel, this execution is energetic and has integrity. After all, it is about ancient spiritual truths; there is no place for the gimmickry that too often passes for depth in some contemporary art work. Daverington's project began when he was profoundly moved on seeing the dervishes at a ceremony in Konya. He had been wanting to learn to play a flute and hearing the ney set him on a quest to seek the masters. He studied classic Arabic music in Cairo for two years and went back to study with masters in Istanbul to perfect the Arabic style of ney playing and the Turkish style that he says has a deeper, more spiritual sound. He performed with the dervishes on two tours to the US in 1998 and 2000. Last year, he recorded himself playing in the chambers of the Great Pyramid of Khufu at Giza, which goes with the Dervish drawings he started as a sequence in 2003. Poetry, music, drawings: all is one right now. Les fidèles musulmans ont célébré le samedi 31 mars dernier la naissance du Pro­phète Mohamed (PSL). Comme à l'accou­tumée, la communauté musulmane des Soufis du Mali a commémoré avec éclat cette fête. The faithful Moslems celebrated last Saturday March 31 the birth of the Prophet Mohamed (pbuh). As usual, the Moslem community of Sufis of Mali commemorated this festival with glare. In the night of Friday 30, 31 March, the spiritual guide, Sufi Shaykh Grand Shaykh Bilal, animated a great sermon in the large Zawiya [lodge] of Djicoroni-Para. 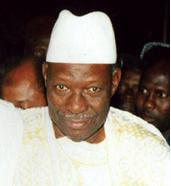 Guest of honor of the evening was General Moussa Traoré, former President of the Republic of Mali, which was accompanied for the circumstance by his son Idrissa. Religion is not only the reading of the Holy Quran or the sermon, it is also sport and culture. 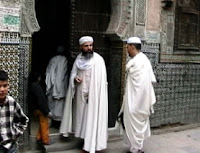 Reason for which the Moslem community of Sufis of Mali organizes, at the time of each Mawlid, one week full of events such as martial arts, readings of poetry, singing, reciting and sketches of theatre. Delegations from Senegal, Burkina Faso, Ivory Coast, Togo and Guinea attended this year's Mawlid' week festival. The week ended with the ceremony of awards (first prize won by the Zawiya of Lomé, Togo) and the blessings of Grand Shaykh Bilal. L'exposition de manuscrits des Livres sacrés des trois religions monothéistes -du 26 avril au 23 septembre à Londres à la British Library- traduit l'attachement de l'Angleterre et du Maroc aux valeurs de tolérance et de coexistence. The exhibition of manuscripts of the Holy Books of the three monotheistic religions - from April 26th to September 23rd at the British Library in London - translates the importance England and Morocco give to the values of tolerance and coexistence. The exhibition intervenes at one time when more and more pressing is the need for a common reflexion of the followers of the three religions and for an action making profitable their common legacies. The program of *Sacred* organized by the British Library of London in partnership with the Moroccan-British Society (MBS), under the high patronage of HM King Mohammed VI and HRH Prince Philip, Duke of Edinburgh, comprises several cultural and artistic activities as well as workshops relating to various spiritual topics such as Sufism in Morocco. The Moroccan-British Society, chaired by HH the Princess Lalla Joumala, aims at allowing the Morrocans and the British to know better their respective cultures and civilizations, to explore their place in History, as well as the political, academic, scientific and economic institutions of the two countries, thus contributing to the consolidation of the co-operation and bonds of friendship in various fields. LAHORE: The 379th annual urs (death anniversary/reunion with God) of Sufi Baba Shah Jamal Qadri will start tomorrow (April 21). The urs will continue for three days and is expected to attract about 300,000 devotees including foreigners. Minister for Religious Affairs and Auqaf Sahibzada Saeedul Hassan Shah will inaugurate the event by laying a Chador at the saint’s shrine. Besides its religious importance, the shrine is also a favourite haunt of music lovers and people who enjoy dancing to the drumbeat. There are live music performances every Thursday – a tradition that dates hundreds of years back. The tradition of music at the shrine started because Baba Shah Jamal also used the drum and dance to perpetuate Islam. Following the age-old tradition, famous drumbeater, Pappu Sain, performs at the shrine every Thursday evening till early morning at 2am. He has also taken his Sufi-style drumming to Germany, Switzerland, Britain, and has performed throughout the Muslim world. The mesmerising scenes of traditional dances and drumbeats can be observed at the saint’s shrine during the urs when Pappu starts his show at the first day’s evening and when the charaghan ceremony is celebrated. With the start of the drumbeats, devotees start dancing and whirling round in the compound. Auqaf spokesman Naseem Abbassi said the department had arranged various programmes for the urs. He said these programmes included a Mehfl-e-Sama, seminars on Sufism and Qirat completions. He added that Rs 80,000 had also been allocated for the provision of lungar (food) to the people. He said the zonal administrator had asked the police for security during the urs. Baba Shah Jamal was born in 966 AH. His father, Maulana Abdul Wahid, was also a renowned religious scholar and belonged to the family of Qazi Jamalud Din Badshahi, a famous Kashmiri family. Shah Jamal belonged to the school of Qadris and Soharwardis and came to Lahore in 995 AH. He lived in Ichhra at the time of Mughal emperor Jallaluddin Akbar [1542-1605 CE]. The saint passed away in 1049 and was buried near Ichhra. The area has been named Shah Jamal after the saint. Mumbai: Composer A.R. Rahman has just fulfilled a long-cherished dream by launching his own music label, K.M. Music. "For a long time now I wanted to float my own label K.M. Music. My label won't market the music. It'll just distribute music recorded in my studio in Chennai to large music companies like Sony," Rahman told IANS. K.M. are the initials of a Sufi name from the south that Rahman wants to honour through his music. "Basically, the creative aspects and vision of the music we produce will be our lookout, not the marketing. I've no idea of the non-creative and fiscal side of the music business. "Digital downloads are easy for me. But to go into the nitty-gritty of music marketing is difficult for a creative person like me. Better to restrict myself to what I know. So I'd rather keep out of the marketing." He clarifies that none oh his film projects will be on his K.M. label. "My label will be devoted to putting out alternate music - the kind of sound I don't have the freedom to create in movies. This idea of a music label was with me for sometime now. But I didn't want to announce it until I had some of the music ready." Now Rahman is all set to put out a bunch of albums on his label. "There's an artiste from Britain, another will feature a mix of artistes from India and the US, another is a Tamil poetry project - it's all experimental and eclectic. Let's see how it goes. "Though I won't be directly involved in the production of all the music on my label, I'll certainly be involved in all my projects. In fact, the reason I built this large studio in Chennai was to finally start this label. No one can use the facilities in this studio as well as me." Currently Rahman is basking in the success of his new album "Sivaji" which stars Tamil superstar Rajnikanth. At the theoretical level, religions are often understood in strictly scripturalist terms. Each religion comes to be regarded as a self-contained, monolithic and neatly bounded entity, completely apart, if not mutually opposed to, other religions. In contrast, lived religious traditions often defy neat categorisations and allow for a considerable sharing as well as blurring of boundaries between religious communities. Nowhere is this more apparent than in the case of the popular Sufi traditions in north India. Some years before the demolition of the Babri masjid, I visited Ayodhya on a project to document Sufi traditions in eastern Uttar Pradesh. Besides the Babri masjid and numerous old ancient mosques that dotted Ayodhya were scores of Sufi shrines, big and small, that testified to a rich local tradition of popular religion that defied the sternly Brahminical Hinduism that the Hindutva forces were so ardently seeking to impose on the country. Muslims formed less than a tenth of the town's population, and a sizeable number of those who visited Ayodhya's Sufi shrines were Hindus. This, of course, was not a unique phenomenon. 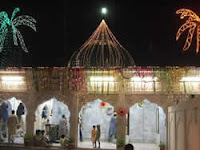 All across Uttar Pradesh, and, in most parts of India, Hindus still flock to Sufi shrines in large numbers, out of devotion to buried Muslim saints and in the belief that they are able to intervene with God to seek His blessings. A number of Sufis made Ayodhya their centre for spiritual teaching and instruction from as early as the 12th century — much before Babar, as is said by some, visited the town. One of the first was Qazi Qidwatuddin Awadhi, who came to Ayodhya from Central Asia. 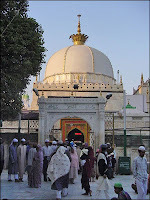 He is said to have been a disciple of Hazrat Usman Haruni, the spiritual preceptor of India's most famous Sufi saint, Khwaja Moinuddin Chishti of Ajmer. Another great Muslim mystic of Ayodhya of pre-Mughal times was Shaikh Jamal 'Gujjari', of the Firdausiya Sufi order. According to popular legend, the Shaikh would regularly step out of his house carrying a large pot of rice on his head, as the men of the Gujjar milkmen caste did, which he would distribute among the poor and the destitute of Ayodhya. Ayodhya was home to a number of spiritual successors of the renowned 14th century Sufi of Delhi, Khwaja Nizamuddin Auliya. The most important of these was the famous Sufi Shaikh Nasiruddin Chiragh-i Dilli, who lies buried in New Delhi. Shaikh Nasiruddin was born in Ayodhya and at the age of 40 left the town for Delhi to live with Khwaja Nizamuddin Auliya. Yet, he would often return to Ayodhya to visit his relatives, and made disciples who emerged as great Sufis. These included people such as Shaikh Zainuddin Ali Awadhi, Shaikh Fatehullah Awadhi and Allama Kamaluddin Awadhi. Ayodhya is also home to the shrine of a female Sufi saint, Badi Bua or Badi Bibi, sister of Shaikh Nasiruddin Chiragh-i Dilli. She was particularly beautiful, but she remained single throughout her life and devoted herself to serving God and the poor. When she was asked why she refused to marry she would answer, 'I only love God and nothing else'. She is said to have been greatly troubled by the local clerics, perhaps because of her refusal to marry. The kotwal, the chief police officer of the town, asked for Badi Bua's hand in marriage, saying that he was in love with her eyes. Without a moment's hesitation, so the story goes, she plucked out her eyes and gave them to him. The shocked Kotwal, realising that Badi Bua was no ordinary woman, but a true devotee of God, repented at once and begged her for mercy. There is an attempt to erase from public memory stories of these and other Sufis of the town, however, visible signs of centuries-old Muslim presence continue to dot the town — crumbling minarets of ancient mosques, neglected graveyards rapidly slipping under a dense cover of weeds, broken walls of what must have once been grand Sufi lodges. Some of these structures came down along with the Babri mosque. In the violence, the dargahs of Shah Muhammad Ibrahim, Bijli Shah Shahid, Makhdum Shah Fatehullah, Sayyed Shah Muqaddas Quddus-i Ruh and the Teen Darvesh, were attacked. Today, some Sufi shrines still survive in Ayodhya, continuing to be visited by local devotees in search of solace. The writer works with the Centre for Jawaharlal Nehru Studies, Jamia Millia Islamia, New Delhi. “We Kashmiris Weren’t Used to Killing a Chick"
A prominent Kashmiri separatist on Wednesday accused the Indian government of turning traditionally “non-violent” residents of the divided territory to armed revolt. “The majority of Kashmiris are followers of Sufism,” said Yasin Malik, referring to the more esoteric and mystic branch of Islam. “We believe in non-violence but were forced to take to guns by India after our repeated attempts to get the dispute resolved peacefully failed,” said Malik, chairman of the political wing of the Jammu and Kashmir Liberation Front (JKLF). Malik was among the first rebels to take up arms against India when the Kashmir insurgency broke out in 1989 and was at the top of a list of “most wanted militants” until he renounced violence in 1994. “We Kashmiris weren’t used to killing a chick. We had no alternative left but to take to guns,” he told a news conference in summer capital Srinagar. Malik hailed an ongoing dialogue between India and Pakistan, but warned “nothing would be achieved until Kashmiris, (and) militants in particular, are part of the process”. “If you want negotiations to succeed, the militant leadership has to be taken on board,” said Malik, the former head of JKLF’s armed wing. An Iranian director plans to make an animation movie based on the life of the 12th century classical Persian poet Attar-e-Neyshabouri. The decision is concurrent with several conferences held to commemorate the poet both in Iran and abroad on April 14, the day named after him. The fifteen minute feature dubbed The Phoenix will be directed under the guidance of the Iranian Center for Development of Documentary and Experimental Cinema. The plot of the Phoenix will focus on the poet's life and the Mogul invasion of Iran in the 12th century. Attar is considered by many as one of the greatest Iranian Sufi poets, whose career is well documented in his books Mantiq al-Tair or The Conference of Birds. With 2007 declared the Year of Mevlana by UNESCO to celebrate the 800th birthday of the Sufi saint and poet Mevlana Jelaluddin Rumi, various activities sponsored by the Turkish Ministry of Culture and Tourism are being held throughout the world. The first of these international activities took place on April 10 in Sarajevo, another inheritor of a rich tradition of Mevlevi culture. Sponsored by the Bosnian Cultural Center, the Mevlana festivities were attended by a crowded delegation from Turkey, including authorities from the Turkish Ministry of Culture and Tourism, as well as teachers, artists, writers and journalists. The Sarajevo Mevlana festivities opened with a speech from Celil Güngör of the Culture and Tourism Ministry. Following this Ministry Undersecretary Professor Mustafa İsen and Sarajevo Fine Arts Academy Professor Kazım Hadzimeljic led a talk focused on the life and works of Mevlana. This was then followed by a presentation by the Konya Sufi Music Ensemble, who presented a Mevlana sema for the 1,000 people present. Celebrations in honor of Mevlana's 800th birthday will occur throughout 2007 across five continents in a variety of different forms. Some 47 million people have visited the Mevlana Museum since it opened in Konya in 1927 and hundreds of thousands of people from around the world are still visiting the museum every year, honoring the 13th century philosopher and Sufi saint. The dergah of Mevlana Jelaluddin Rumi was transformed into a museum in 1927, following the abolishing of dervish lodges and dergahs on Nov. 30, 1925. Opened to visitors in 1927, the Mevlana Museum includes the shrine of the saint as well as several valuable historical works, which have brought it world-wide fame. The museum hosted 25,710 tourists from within Turkey during the first year it was opened and the number of visitors has regularly risen since, despite falls during some leaner years of the Turkish Republic and during World War II. Some 1.28 million people visited the Mevlana museum in 2006 and the number of visitors has reportedly reached nearly 47 million people over the museum’s 80-year history. The lowest number of visitors came to the museum in 1932 with 5,461, while the museum hosted a record number of visitors in 1996 with 1.50 million. The next-highest figure was in 2005, with 1.39 million visitors. The museum hosted the highest number of Turkish visitors in 2004, with 1.10 million people, and the highest number of foreign visitors in 1998. The lowest number of visitors come during January and February, and the highest visit the museum in July and August, according to the museum records. Seventy-five percent of visitors to the museum are domestic tourists and 25 percent foreign tourists. Tourists from the UK, France and Germany have dominated foreign visitors in recent years, however tourists from Italy, the US, Japan, South Korea, Iran, the Czech Republic, Greece and Russia have also started to visit the museum in recent years. By M.M. Khanna - Travel Video TV - U.S.A. Marked with fanfare, festive celebrations, cultural pageantry and artistic activities, the three-day Festival of Chandigarh on Baisakhi today concluded with a famous and renowned play on the Punjabi sufi poet Bulley Shah [d. 1757], entitlted, “Bullah” staged by Pakistan-based Madeeha Gauhar and her troupe. The play drew great appreciation from the spectators. The festival was inaugurated at Sukhna Lake by the Punjab Governor and UT Administrator, Chandigarh, Gen. (Retd.) S. F.Rodrigues on April 13. It got off with a colourful start at Sukhna Lake with the inauguration of a photo exhibition put up by Pradeep Mahajan at the Lake by the Governor. The colourful performances of Bhangra & Giddha, beating of drums, display of distinctive art forms by the artistes from different States of the Country made the event a joyous& memorable occasion for thousands of spectators. A Punjabi Folk Songs programme by famous Artists Dolly Guleria and Satwinder Bugga was also hosted at Sukhna Lake after on April 13. A Food Festival, which was organized at Sukhna Lake on all the three evenings, was much appreciated by the visitors and the tourists.The visitors/ Foreign Tourists to the Lake also enjoyed Folk Music and Dance programmes by cultural artistes on all three evenings. The Musical programme by Archana Bhargava and group at Sukhna Lake and a Musical Performance by famous Pakistani Artist Sher Mian Dad Khan at Shanti Kunj on April 14 drew the attention of Sufi music lovers. The audience was spell-bound with the soulful Sufi performance of Sher Mian Dad Khan. The School bands also played at Sukhna Lake on Saturday evening. A Plaza Carnival was also organized at Sector 17, Plaza on the same day. Distinguished and highly energetic Kathak exponent, V. Anuradha Singh enthralled the audience with her performance and won appreciation from the stalwarts of Indian Classical music on the concluding day. V. Anuradha Singh, with her enchanting stage presence, earned acclamation for her intense, sensitive and gracefulKathak dance presentations. Police Band also performed at Sukhna Lake on the same day. Besides this, the beautifully illuminated buildings of Chandigarh wore a bridal look and made the celebrations a memorable event. UT Home Secretary, Mr. Krishna Mohan said that the three-day festival was organized for the first time by Chandigarh Administration to celebrate the major festival of Baisakhi and this would be celebrated every year on a bigger scale. [picture: The giant hand in metal sheet rises 26 meters (85 feet) from a sunken trench and rotates freely in the wind from a high concrete pedestal, conveying the symbolic message "Open to give, open to receive". 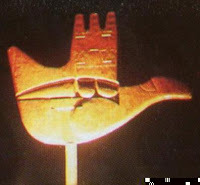 Conspicuous by its scale, the Open Hand is the official emblem of the city. The design of this emblem as of the monument was conceived entirely by Le Corbusier (d. 1965). There is probably no city emblem in the world quite like this one. 'Open to give and open to receive' presumes an open mind. This notion as also the emblem, celebrates the give and take of ideas, as opposed to commemorating personalities. Les Rencontres Méditerranéennes ont choisi cette année de célébrer Al Andalus, l’Andalousie médiévale, matrice des noces de l’Orient et de l’Occident, de la Chrétienté et de l’Islam, du monde arabo-berbère africain et de l’Europe du sud. The Mediterranean Meetings chose this year to celebrate Al Andalus, Andalusia of the Middle Ages, matrix of the wedding of the East and the West, Christendom and Islam, African arabo-Berber world and Southern Europe. By Nimmie Singh - The UCLA Daily Bruin - Los Angeles, CA, U.S.A.
More than 500 people crowded into the Macgowan Little Theater at UCLA on Saturday [April 14] night to attend “Calling for the Beloved,” the first annual Sufi celebration in Los Angeles. The event was presented by the Maktab Tarighat Oveyssi Shahmaghsoudi, or MTO, Sufi Association at UCLA. Sufism is a discipline, not a religion, that emphasizes self-knowledge and holds that in order to understand God, one must first understand oneself. “Sufism is all about the journey of you to you,” said Soheila Zamanianpour, a florist from Marin County and one of the musical performers of the evening. MTO Sufi Association is open to students from all religious backgrounds, and not just to Muslim students. The night was filled with Sufi culture, exhibited through music, song, poetry, movement, meditation and presentations on Sufi crafts and architectural achievements. Musical performances included both song and movement, and were a mix of traditional Middle-Eastern and modern melodies. The songs were performed in both English and Persian. “Zikr [remembrance of God] helps (practitioners) to cleanse themselves, and free themselves of the limitations and the attachments that they’ve gathered in life. It’s part chanting, part meditation and part movement,” said Ed Selbe, press liaison for the event and a student of Sufism. The music and songs were performed by Zikr music groups of both Southern and Northern California. The performers consisted of college students, including students from UCLA, USC and Orange Coast College, as well as high school students, UCLA alumni and others. The performances incorporated a medley of musical instruments including the sitar, tanbur, santur, daf and the African drum. Besides these more traditional instruments, there were acoustic and electric guitars. The evening also included a presentation titled the “Science of Sufism.” A slide screen detailed the Sufi belief that the heart commands the brain, and therefore the body. The event also included a presentation on Movazeneh, which is meditation through movement. Near the end of the event, the audience was invited to take part in meditation. The speaker, accompanied by soothing music, asked the audience members to close their eyes and breathe deeply, while he spoke of peace and contentment in nature. La confrérie Tidjania au Burkina, vient de célebrer l'anniversaire du Prophète Mohamed (saw) à Ramatoulaye, sous les auspices du Cheick Aboubacar Maïga II. The Tidjania sufi brotherhood of Burkina Faso has celebrated the anniversary of the Prophet (pbuh) in Ramatoulaye, with the presence of the Shaykh Aboubacar Maïga II. The crowd has swept up Ramatoulaye, and the horde of the faithfuls - assembled for the 83rd time since 1923 - had but one wish : to touch the hand of the Shaykh and to kneel down on the shrine of his predecessors, to pray and to express the deep desires of their heart. Many were the talks about sufism, about how sufism is a factor for drawing people near to each other. The Tidjania brotherhood commends humility and not-interference. But trade is also important in Mawlid , and many return home with both blessings and cereals, small animals and handicraft; and everything on sale is halal (permitted according to Islam). Among the participants, His Excellency Seid Ali Riza Nikou Nian; the Shaykh Salawati from Tamalé, Ghana; Jacob Ouédraogo, governor of the region of Center-West; Sidi Mohamed Maïga, the younger brother of Shaykh Aboubacar and a member of the organizing committee, and many others. To organize the Mawlid is extremely expensive, but this has not scared the organizers. Aller manger chez Quick à Alger, c’est comme passer les frontières de l’Europe sans visa, alors il ne faut pas s’étonner si le premier vrai fast-food made in Belgique a été pris d’assaut aux premiers jours de son ouverture, à tel point qu’il s’est très vite transformé en slow-food. Go for lunch at Quick in Algiers, it is like passing the borders of Europe without a visa, so one should not be astonished if the first real fast-food made in Belgium was taken by storm at the first days of its opening, so much so that it was very quickly transformed into slow-food. It seems it was necessary nearly a million euros [1,353,340 US Dollar], to replace the restaurant Novelty with Quick Novelty. You cannot miss it, it is just opposite the statue of Emir Abdelkader, the founder of the Algerian State, the opposer to French colonization, the Sufi intoxicated with poetry and literature, the warrior who will end up surrendering to globalization and exile himself in Syria. But I can reassure you: the Emir did not descend from his horse to join the queue. Nevertheless, I greatly fear that soon one will no more agree to meet “in front of the statue of the Emir” but “in front of Quick”. "No one returns empty handed from here"
Get ready for Sufi Kathak!